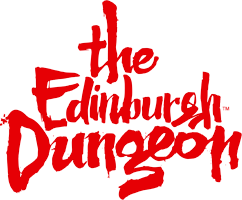 Drop Dead Drop Ride: The Grassmarket Gallows is an exhilarating vertical free fall drop ride. You've made it to the Grassmarket and a crowd has gathered to see you pay for your sins – this is Edinburgh’s famous public hanging square. Lucky you! You had better put on a good show/death for the awaiting crowds. Your executioner will show you the 'ropes'. Please note: There is a height restriction of 1.4 metres for the Drop Ride. A condition that may result in injury or complication from riding.